A stylish and modern update to this end unit, luxury townhome at morgan hill will excite and delight! These extensive updates were all completed by renowned builder richard zaveta. 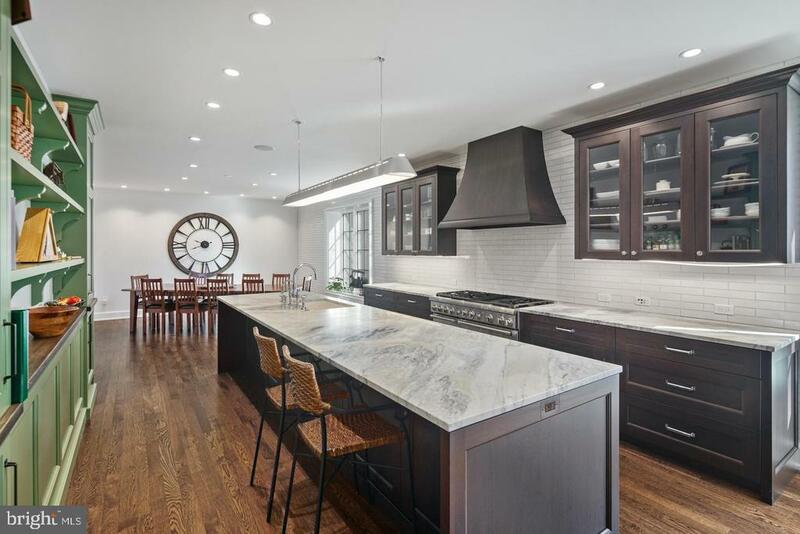 Transformation of the kitchen features custom espresso cabinetry, white corian countertops, sizable island with seating, sub-zero refrigerator with glass door, ge monogram range with oven, 2 bosch dishwashers, a microwave drawer and large breakfast room. Entry greatly enlarged from kitchen to family room to create an open floor plan between the two spaces. 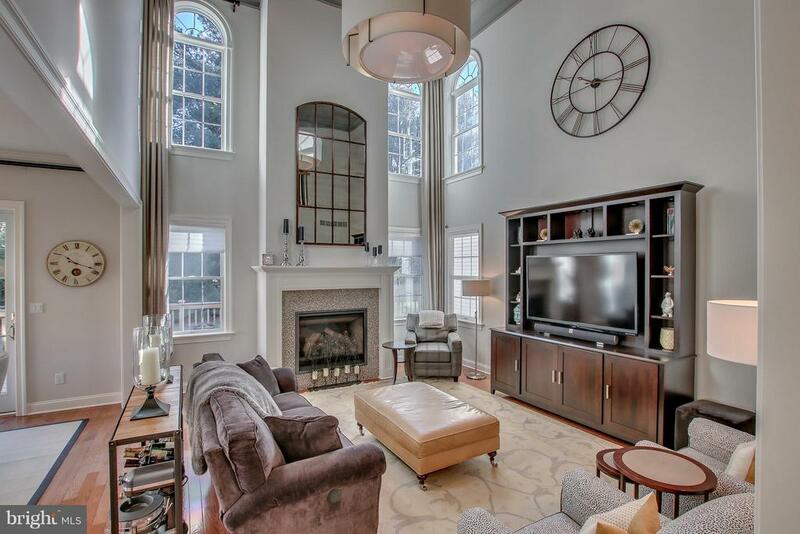 You'll love the dramatic two story family room with elegant gas fireplace and an abundance of natural lighting. A sliding door opens to a large deck, a perfect spot for quiet reading or entertaining. 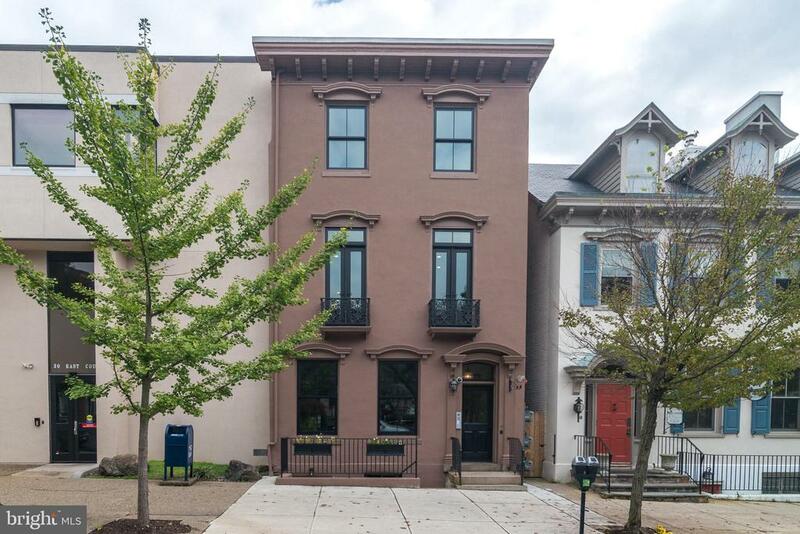 Spacious first floor owner's suite includes 2 newly added closets (plus the original 2), completely renovated bathroom featuring custom tiled shower with glass door, dual sinks. Large counter space and separate water closet. Even the first floor laundry room was reconfigured! The second floor hosts a second suite which includes a bedroom, sitting room and private full bathroom. Across the open loft area are two more bedrooms with a center jack-and-jill bathroom. The finished lower level includes a generous family room, kitchenette area with double oven and refrigerator, plenty of storage space, and an area already plumbed for a half bathroom. Extensive molding added to ceilings of foyer, family room and loft. New carpets, fresh paint colors, new egress added to basement. Also included is a 2 car, side entry garage with a garagetek system, a central vacuum system with a crumb catcher in the kitchen and a security system. Access to walking path connected to doylestown's central park. 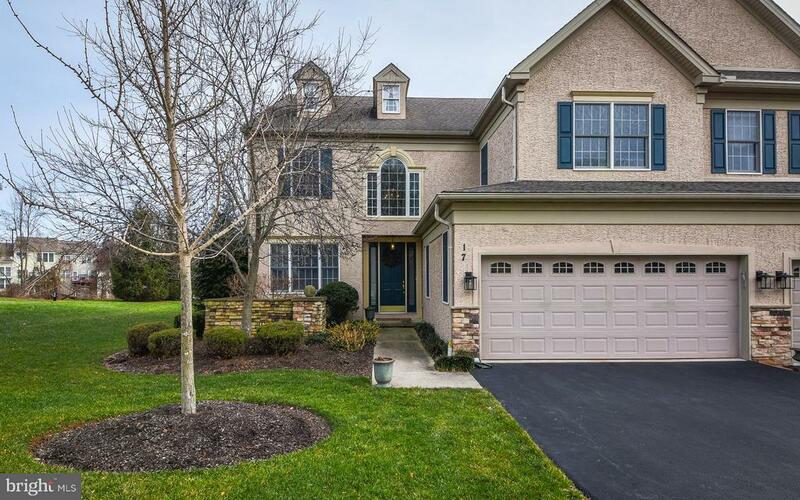 So close to the heart of doylestown borough's sought after restaurants, shops, and museums, plus rt 611 and 202, and the r5 septa train. A turnkey beauty. You will be impressed! 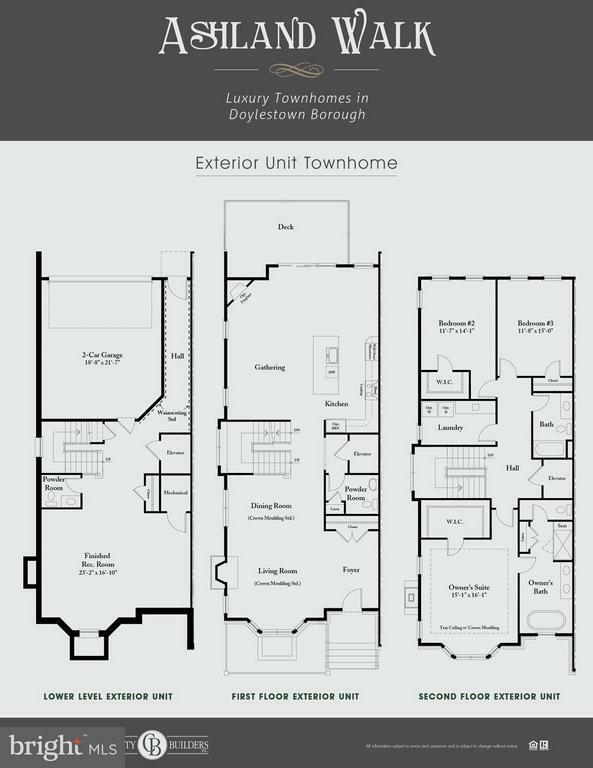 New construction by silo homes - first floor master- convenient location!!! 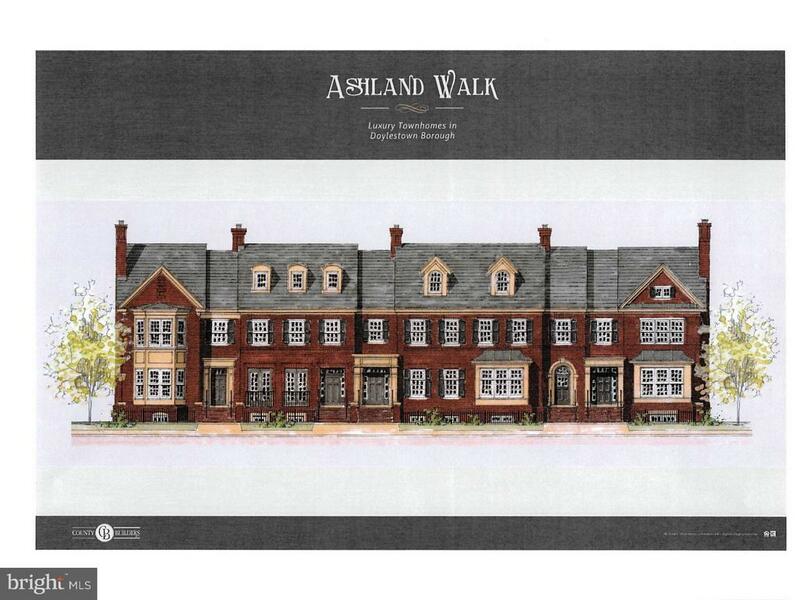 Beautiful 3 bedroom 3 1/2 bath carriage house part of an enclave of 7 carriage homes. Last one available! This is the floor plan you have been searching for. Enter into the open living room/dining room with two levels of windows and vaulted ceiling. Past the stairs is the spacious kitchen, breakfast area, and family room. Again with vaulted ceiling and two level of windows with a sliding door to the rear patio. Completing the first floor is a powder room and the master bedroom with beautiful spacious bath. Second floor has two additional bedrooms, each with its own bath. Highlights of this home:move in ready new construction, maintenance free, open and bright, hardwood, granite, stainless, upgraded finishes,9' ceilings, vaulted ceilings, luxurious baths, propane heat, community with character, and close to doylestown boro with it's cultural activities, excellent dining, shopping, court house, septa train to philadelphia, and easy access to the rt. 202 parkway. No hidden costs. What you see will be yours for the listed price. Stone barn manor is a new community. May not be available on gps. Gps to 360 old dublin pike. An exceptional home with a unique, premium location in the desirable enclave of morgan hill ~ adjoined with only one other unit, allowing for a most private and expansive outdoor setting, exquisite details will welcome you throughout this meticulous end-unit carriage home. 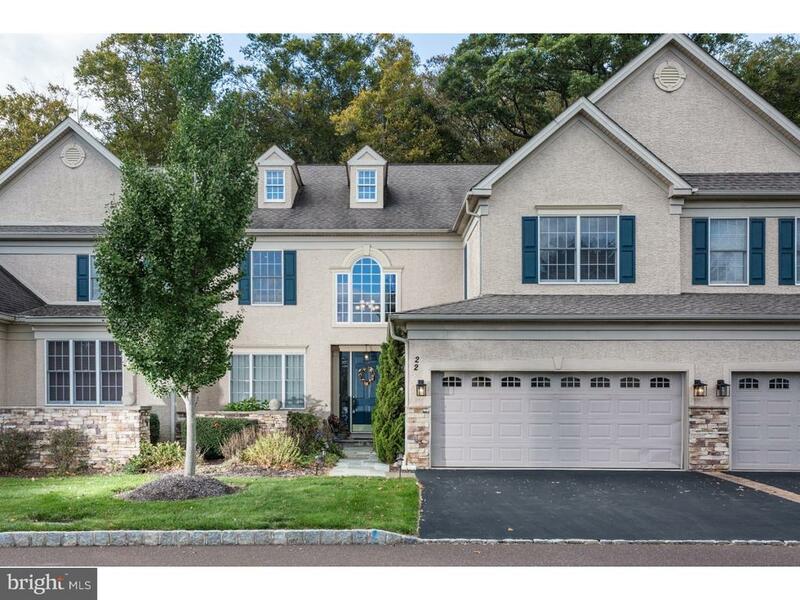 Just minutes from historic doylestown boro, this stunning property features gleaming hardwood floors, luxurious amenities and spacious, sun-filled rooms. A grand foyer leads you to an elegant dining room with tray ceiling and column detail and opens to the large gourmet kitchen with granite counters, handsome cabinetry and a lovely breakfast area with views of a private, backyard oasis, alluring landscape and patio areas. Just off the kitchen, a light-filled great room with a soaring 2-story ceiling welcomes relaxation and cozy evenings by the gas fireplace. A beautiful and inviting 1st floor master suite features sliding french doors to an expansive deck, perfectly awaiting your morning coffee, and offers 2-walk-in closets, and a sumptuous bathroom complete with double-vanities, walk-in shower and jetted jacuzzi soaking tub. Following the curved staircase to the upper level, a stunning, open loft with hardwood floors invites work and play~additionally, two large bedrooms share a jack and jill bath and a 3rd bedroom en-suite allow plenty of room to share with family and guests. This extraordinary home continues with a a large, finished lower level complete with half bath; as well as unfinished storage space. With a main floor laundry, 2-car garage, conveniently located close to shopping, dining, central park and easy access for hiking and biking trails~this home has it all! Don't miss an opportunity to experience luxurious, easy living with the most magnificent of views. A rare gem awaits you at 17 morgan hill. Welcome to this spectacular townhome in very desirable morgan hill!! 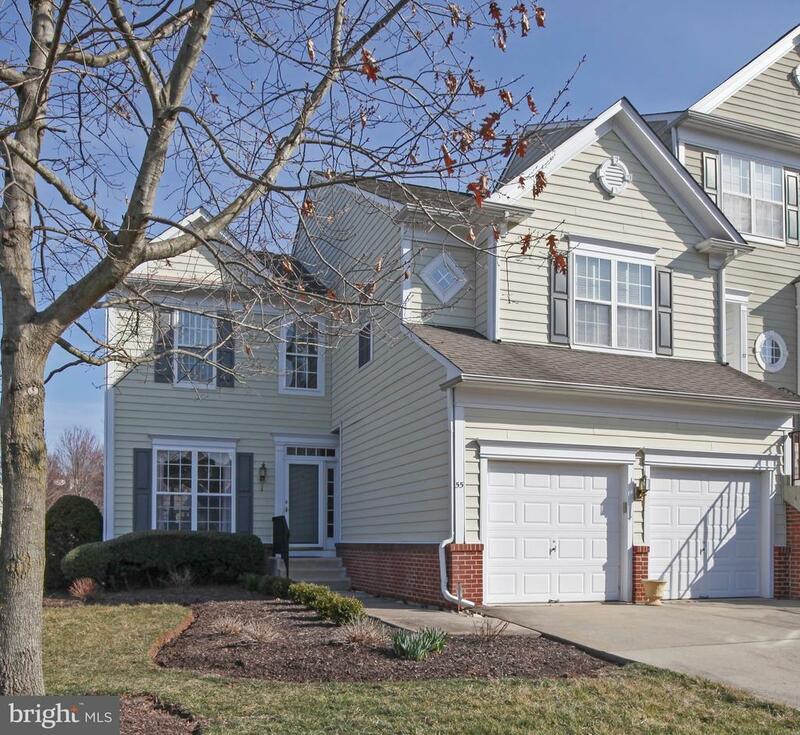 Walk into the soaring two story entry way with sweeping staircase and gorgeous wood floors. The dining room with chair rail and tray ceiling is gracious in size for those wonderful evening dinners. The kitchen with granite counters and high end appliances flows beautifully into the great room with fireplace and wall os magnificent windows to let the natural light in. The #firstfloormaster bedroom has walk in closets and a gorgeous sumptuous master bath with fabulous soaking tub to help you relax after a long day at work. Upstairs you'll fine three additional huge bedrooms, one being an ensuite, with fabulous closet space, all complete with beautiful wall to wall carpeting. Also, there is a loft area currently being used as an office with a magnificent built-in bookcase which overlooks the beautiful and elegant center hall. Walk outside onto a fantastic large deck with plenty of room for multiple seating areas which backs up to preserved land allowing for true tranquility while relaxing in the sun during the day or enjoying a wonderful glass of wine in the evening. True move-in condition!!!!! With warm weather right around the corner, walking out your own front door and strolling to lovely downtown doylestown is a dream that~s hard to find. 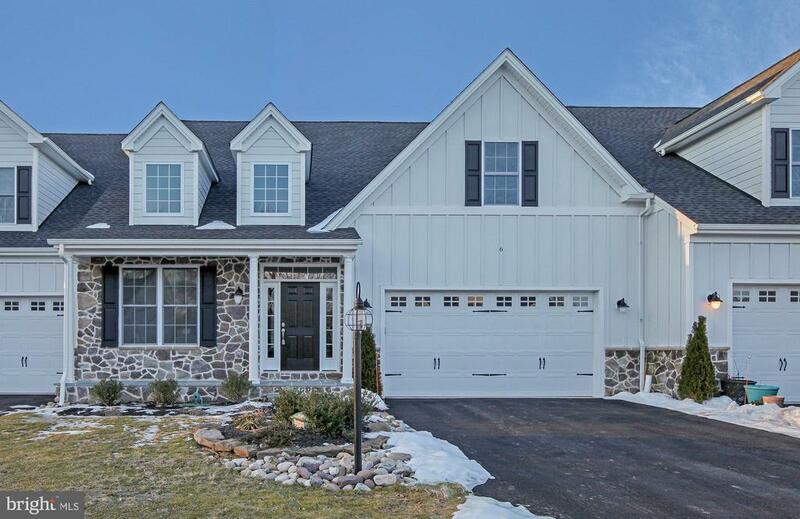 Lucky for you, this home is that dream come true!30 hibiscus ct has been lovingly cared for and offers a flexible floorplan to suit every buyer. Upon entering the 2 story faux painted foyer (not wallpaper!) you will notice a sunny den with custom built in's and a full bath next door. This space could be made into a first floor bedroom with it's own private bath. The warm dining room boasts wood flooring, beautiful millwork & a bay window while the spacious living room offers a wood burning fireplace and views of the greenbelt behind. The light filled kitchen has lovely cherry stained cabinetry, silestone counters, an island w/a breakfast bar & updated appliances and a sunny breakfast room with large glass doors revealing the rear deck. Upstairs you will find 2 master suites with their own bathrooms and each offer two walk in closets so no sharing required! The large primary master has a dressing area and a bubbly jetted tub to soak in while the ample 2nd master offers a large sitting room for a little time to yourself. There is a good sized third bedroom and an upstairs laundry, which makes doing wash a snap! The finished lower level has a large family room perfect for lounging or even the kid zone! If it's time to work, there is a nice office on this level as well as an exercise room. You will also find a very large storage room for all of your treasures. On a beautiful day, enjoy the private deck complete with an electric retractable awning and room to entertain. Some amenities include: two new heat pumps installed 5 years ago, 2 water heaters installed 2010, central vac, custom window treatments, security system, new carpeting on the lower level, a neutral color palette and so much more. 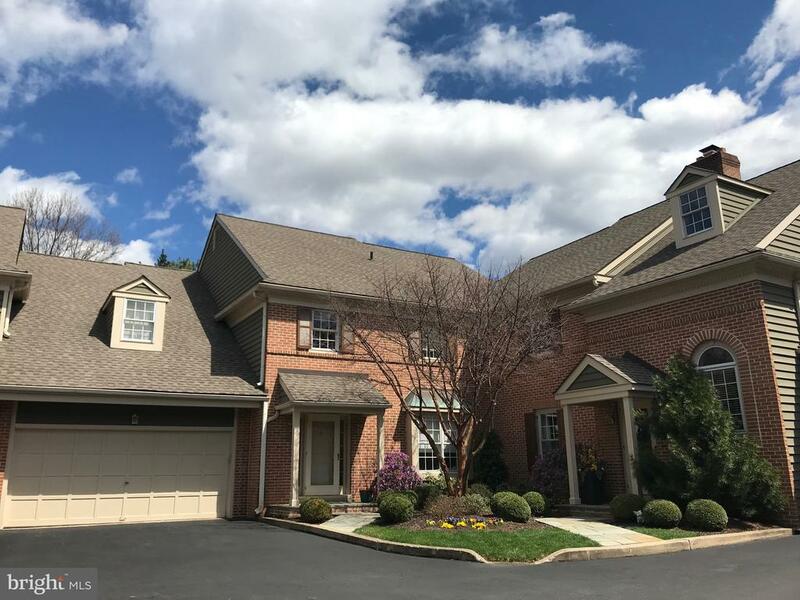 The private community sits near the edge of doylestown boro, a picturesque town filled with wonderful restaurants, interesting cultural activities and shops galore. Whether you want to walk to the y, bike to town or hop on the bypass, this location can~t be beat!